A rousing historical epic about Scottish independence. 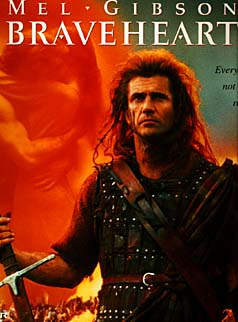 Director Mel Gibson's "Braveheart" is a sweeping, stirring historical epic. The film benefits from strong casting, including: Mel Gibson, Sophie Marceau, and Patrick McGoohan.